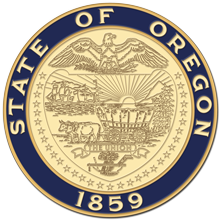 Salem, OR—Tuesday's announcement from the Centers for Medicare and Medicaid Services revealing they will cut navigator funding by more than 70 percent does not affect Oregon. Enrollment assistance in Oregon is provided locally, funded locally, and continues to be essential for the Marketplace to support. The Oregon Health Insurance Marketplace, a part of state government, offers competitive grants to community groups and local insurance agents that help people enroll in health coverage and financial assistance. These state programs remain strong, as the federal government slashes support for a similar “navigator” programs in other states. Although Oregonians enroll through the national website HealthCare.gov, the state administers outreach and enrollment assistance here. In Oregon, six community organizations have current grant awards totaling $370,135, and 32 licensed insurance agents have been granted $290,000 in total this year. No cuts are planned for 2019. The Oregon Health Insurance Marketplace is the state-level partner to HealthCare.gov and a division of the Department of Consumer and Business Services (DCBS). DCBS is Oregon's largest business regulatory and consumer protection agency. For more information, go to dcbs.oregon.gov.